Islamic State militants release a video which purportes to show the beheading of Japanese journalist Kenji Goto, as Japan vows to seek justice. Mana Rabiee reports. Agricultural producers in Rio de Janeiro state battle with the worst drought Brazil has seen in 80 years which is killing large numbers of livestock and crops. Nathan Frandino reports. 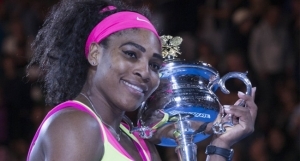 Serena Williams won her sixth Australian Open and 19th career Grand Slam with victory over bitter rival Maria Sharapova on Saturday. The American world number one earned a hard-fought 6-3, 7-6 (7/5) on the way to making history as one the greatest tennis players of all time. She is now second only to Steffi Graf on the all-time Open-era Grand Slam winners’ list, having overtaken 18-time major champions, Martina Navratilova and Chris Evert. “Standing here with 19 championships is something I never thought would happen, I went on the courts with just a ball and a racquet and hope and that’s all I had,” said Williams. “I’m just so excited to have this title,” she added, revealing that she had been “throwing up” during a rain delay in the first set. Sharapova could have overtaken Williams if she had beaten the American on Saturday but she believes she remains on the path to closing the gap. “Yes, I haven’t won against her many times, but if I’m getting to the stage of competing against someone like Serena, I’m doing something well,” said Sharapova, who has a 16-match losing streak record against the American. At 33 and now the oldest woman to win the Melbourne title, Serena Williams still wants to win at Roland Garros. The post Australian Open: Serena Williams Beats Sharapova To Win 19th Grand Slam appeared first on Channels Television. Taxi drivers in Abuja, Nigeria’s capital city, have joined the league of groups calling on candidates of political parties and their supporters to shun violence and vote for peace during the February polls. The taxi drivers gathered in their dozens at the Unity Fountain to stage a ‘drive for peace’ and support for the incumbent, President Goodluck Jonathan, at the weekend. They hoped to mobilize their members to vote for the incumbent whose administration, they said, has impacted positively on them. Nigeria’s general elections are only two weeks away and aside rallying support for the President, the group of taxi drivers said that the exercise was also targeted at sensitizing members, and other party supporters on the need to vote peacefully during the polls. Nigerians will go to the polls in February 14 for the presidential elections and February the 28 to elect governors and legislators in the states and at the federal level. Political parties and their supporters have less than 14 days to canvass support for their candidates. 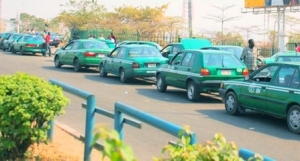 The post Abuja Taxi Drivers Call For Peaceful Polls appeared first on Channels Television. Peace talks on Ukraine collapse after just hours with no tangible progress towards a new ceasefire. Mana Rabiee reports. A video has been released online purporting to show the beheading of Japanese hostage, Kenji Goto by Islamic State militants. The video came less than a week after news of the beheading of another Japanese man, Haruna Yukawa. Mr Goto, 47, is a popular freelance journalist and film-maker who went to Syria in October, reportedly to try to secure Mr Yukawa’s release. The Islamic State group had on Sunday, January 25, confirmed that its militants executed Haruna Yukawa, following the release of a video announcing his death. “The Islamic State has carried out its threat… it has executed Japanese hostage, Haruna Yukawa, after the expiry of the deadline given,” the Sunni extremist group said on Al-Bayan Radio, which broadcasts in areas under its control in Iraq and Syria. ISIS had on January 20 threatened to kill the two Japanese hostages unless Tokyo hands over $200 million within 72 hours. In a video posted online, a masked man clad in black and holding a knife stood over the two kneeling men in orange jumpsuits against the backdrop of a barren landscape. The militant, who spoke in English, demanded “200 million” without specifying a currency, but an Arabic subtitle identified it as U.S. Dollars. The masked man links the threat against the two men’s lives to Japan’s support for the U.S.-led coalition that is fighting ISIS in Iraq and Syria. 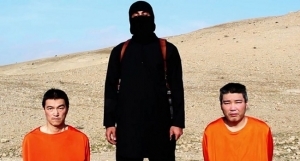 However, Japan said it was trying to authenticate the latest video showing Kenji Goto beheaded. The video, which bears the same symbols as previous IS videos, shows a militant with a British accent beheading Mr Kenji Goto. The post Video Showing Japanese Hostage, Kenji Goto Beheaded Released appeared first on Channels Television. The United Nations says tens of thousands of longtime Palestinian refugees in a camp on the outskirts of the Syrian capital have been cut off from emergency aid for nearly two months by armed groups that are preventing access. Nathan Frandino reports. Muslim women gather at an interfaith center in Los Angeles to inaugurate what might be the first all-female mosque in the United States. Mana Rabiee reports.